Settling a debate that has been ongoing since classical times, this book calculates the real costs of religion, politics, and war to demonstrate what the Athenian citizenry valued most highly. In his On the Glory of Athens, Plutarch complained that the Athenian people spent more on the production of dramatic festivals and “the misfortunes of Medeas and Electras than they did on maintaining their empire and fighting for their liberty against the Persians.” This view of the Athenians’ misplaced priorities became orthodoxy with the publication of August Böckh’s 1817 book Die Staatshaushaltung der Athener [The Public Economy of Athens], which criticized the classical Athenian dēmos for spending more on festivals than on wars and for levying unjust taxes to pay for their bloated government. But were the Athenians’ priorities really as misplaced as ancient and modern historians believed? Drawing on lines of evidence not available in Böckh’s time, Public Spending and Democracy in Classical Athens calculates the real costs of religion, politics, and war to settle the long-standing debate about what the ancient Athenians valued most highly. 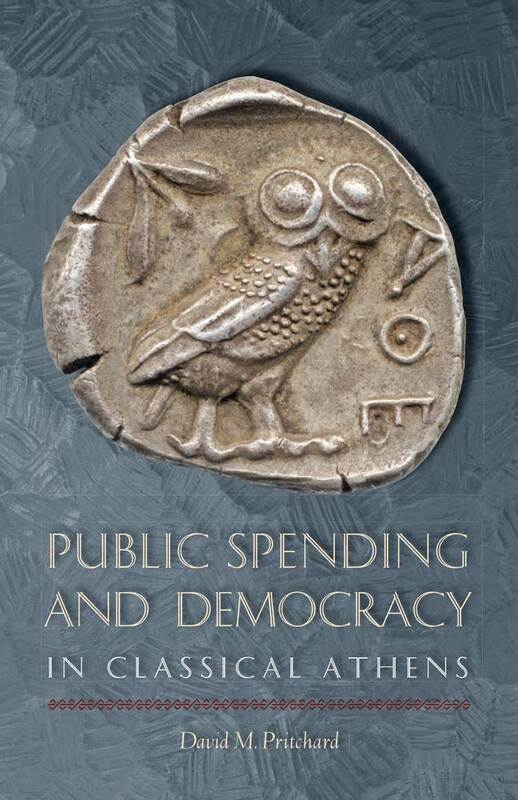 David M. Pritchard explains that, in Athenian democracy, voters had full control over public spending. When they voted for a bill, they always knew its cost and how much they normally spent on such bills. Therefore, the sums they chose to spend on festivals, politics, and the armed forces reflected the order of the priorities that they had set for their state. By calculating these sums, Pritchard convincingly demonstrates that it was not religion or politics but war that was the overriding priority of the Athenian people. David M. Pritchard is Senior Lecturer in the School of History, Philosophy, Religion, and Classics at the University of Queensland. He has authored Sport, Democracy, and War in Classical Athens, edited War, Democracy, and Culture in Classical Athens, and coedited Sport and Festival in the Ancient Greek World.